However, risk-averse enterprise IT professionals are understandably cautious about simply moving their entire IT portfolio of resources and services into a 100-percent cloud architecture. As with most technology-adoption curves, enterprises have not embraced an “all-or-nothing” paradigm, instead preferring a pragmatic, “evolution, not revolution” approach of cautious incrementalism. This helps them account for their existing investments, custom work, business requirements, and risk posture. Not everything will move to the cloud – at least not in the foreseeable future. That’s why so many IT professionals advocate a so-called “hybrid” approach. 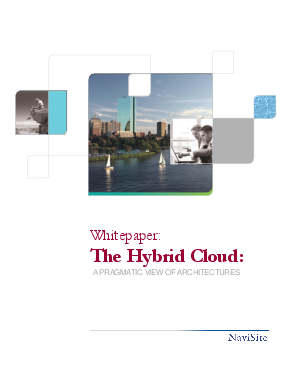 But what do we mean by “hybrid” and how do we optimally balance the various components of a hybrid cloud architecture?